It was 1986. Sean Lambert was praying about mobilizing students for missions. As he prayed, Sean believed God asked him, “Do you believe Me for 1,000 youth each year?” Full of faith and vision Sean responded, “Yes, Lord. I believe!” Working from YWAM Los Angeles, Sean got on the phone to mobilize students. That year 30 people traveled to Mexico City to distribute Bibles. Discouraged, but undaunted, Sean doubled his efforts. He organized trips to Mexico, to Europe, and even Around the World bicycle trips. Still only 85 kids participated in 1987. Then a youth pastor named Charlie Morales called. He said he wanted his whole youth group to experience a short-term outreach. He said that most trips were too far, too long and too expensive. Charlie and Sean worked out a 12-day trip to Tijuana, Mexico for $129. Charlie brought forty kids. A light went on for Sean. Whole groups, including their leaders, were fired up for missions. From then on, Sean focused on mobilizing groups. Fast forward to 1991. 1,000 kids were trained at the YWAM center in Los Angeles and went on outreach in Tijuana. God’s question to Sean had been answered. That same year Sean was commissioned by YWAM LA to pioneer a new center in Tijuana. Fast forward to 1996. The LA to TJ program was maxed out. YWAM TJ was at full bore, hosting more than 3,000 people each year. Other YWAM centers were calling, asking Sean how he did it. Sean assembled a team to develop a way to multiply the program. In 1997 the Mission Adventures Network was launched as a coalition of YWAM centers across North America. They dedicated themselves to providing easy access to missions for youth groups. Total participation in 1997 topped 4,000 people. Fast forward to today. More than 30 YWAM centers in a dozen nations have joined the Mission Adventures Network. Over 100,000 young people have participated in a Mission Adventures outreach. 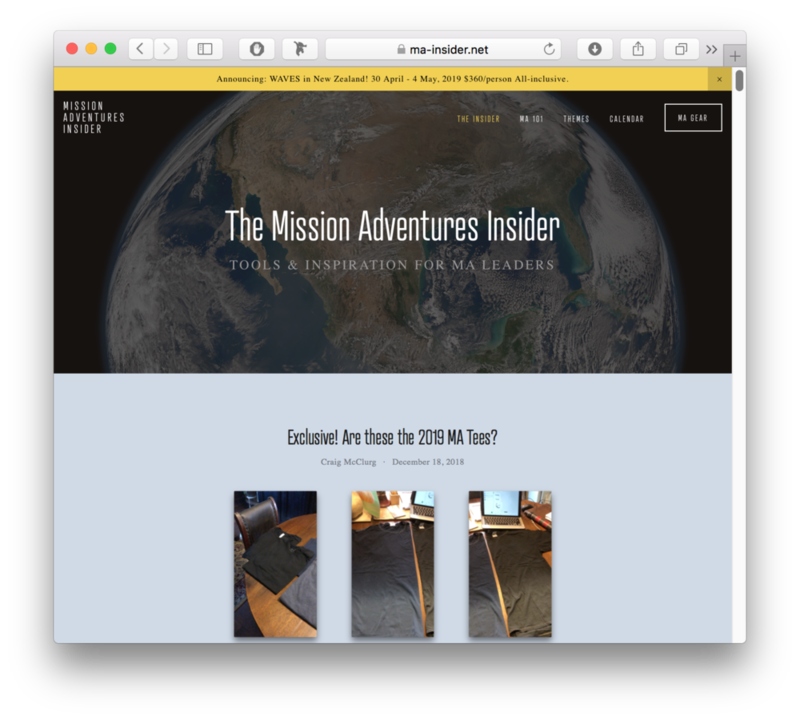 What Is the Mission Adventures Network? The Mission Adventures Network is a group of YWAM centers working together to serve local churches. We're bound together by common vision and values, and our goal is to do everything possible to make missions accessible for your group. More than 30 YWAM centers around the world are working together to provide short-term outreaches for groups. Since the network was founded in 1997, thousands of young people representing hundreds of churches have participated in a Mission Adventures outreach. From Hawaii to Florida, from British Columbia to Panama, we stand ready to serve your group. Click on the "Where To?" 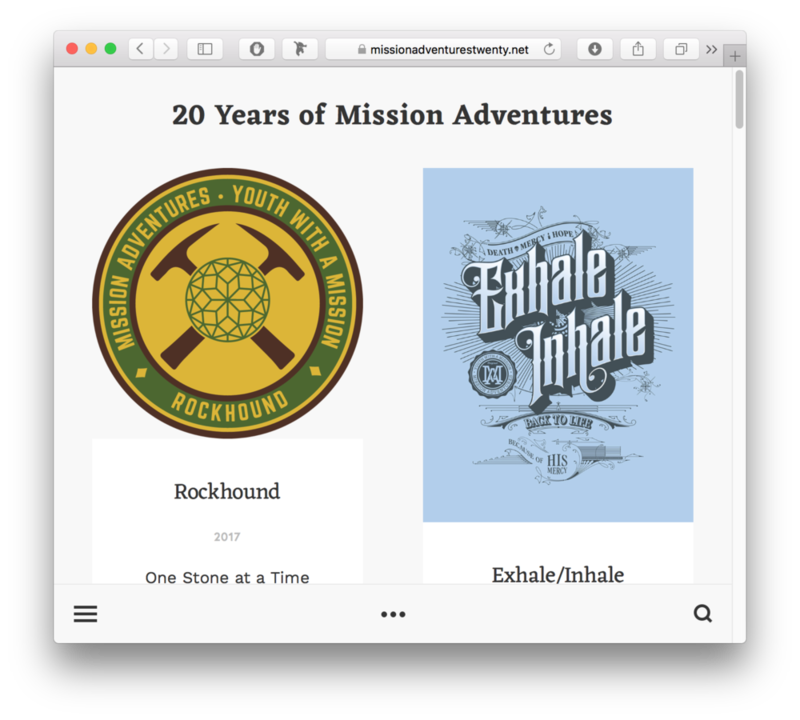 link above to find the Mission Adventure that fits your team. Youth With A Mission is an international movement of Christians working to help make a difference in a needy world. Founded in 1960, it is now one of the largest interdenominational and international Christian ministries. Over 18,000 full-time workers are working at more than 1,000 centers in 140 nations. In addition, tens of thousands more people from scores of nations are involved on a short-term basis each year. Coming from many different backgrounds and working in a wide range of situations, YWAMers are united in their desire to be part of changing people’s lives for the better. They have responded to the Great Commission–Jesus’ command to His disciples to go into all the world and tell the Good News. They believe the gospel of Jesus is not just about words, but also actions. So they share their faith through many different kinds of practical help–from agricultural training to running medical clinics–as well as telling about the Christian beliefs that inspire their actions. Youth With A Mission draws people from a great diversity of backgrounds to work in a wide variety of ministries. Young people, families, retired persons, and professionals from more than 100 nations are among our ranks. Each year about 30,000 Christians are involved in YWAM's short-term projects the world over. Over 9,000 permanent staff are working at 600 centers in 133 nations.